I want to introduce you to a "special opportunity" from Front Sight. If you are the least bit interested in Self Defense of yourself, family and friends, AND, if you are a supporter of the Second Ammendment to our Constitution, you will be interested in this. 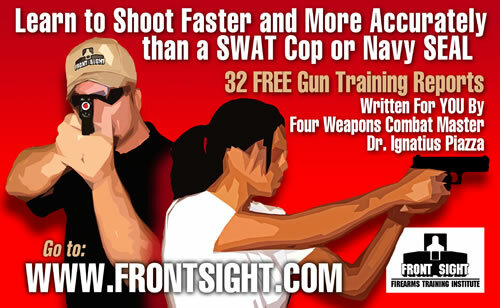 Just click on the following links to get a "feel" for what FrontSight Training Institute is all about. I have been there myself, and I vouch for it personally.